What do rabbits eat, if they are to be kept for a longer period of time, is a matter of doing things as simple as possible. A wise rabbit would be a delightful presence into your house. some good vegetables from time to time (but not mandatory). We will see how things could work also very well without vegetables. But let’s start with hay. 1. A well-balanced diet for an adult rabbit is made of 85 – 90% hay mixture plus a max 10% pellets. This is how you maintain a good weight and a longer life for your pet rabbit. If you want to incorporate vegetables into your pet’s diet, then just reduce pellets, therefore, you keep the same balance. If you want to see what kind of options do you have for vegetables, here is a list of good veggies. But, we don’t really recommend treats. There are only two good reasons to try them from time to time. It helps you monitor his health, by observing whether he eats it or not. It is also helpful when you want to train your rabbit. Otherwise, there is no good reason for you to feed him these foods. 2. Be aware! Never feed pellets with nuts or seeds. 3. Water is essential when you’re thinking about this kind of straight forward diet (without veggies). Provide 2 or 3 bowls full of fresh water, especially if you’re not at home during the day. 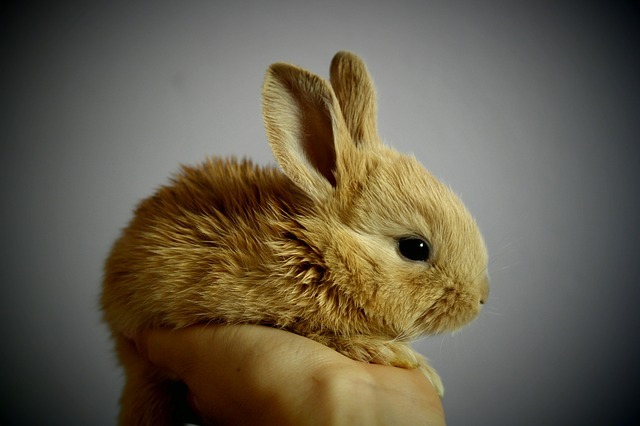 The oldest domestic rabbit was 17 years and 2 weeks old. The owner said that the diet was the priority. Keeping it easy and steady with high-quality grass hay and some pellets made the difference. Her rabbit was also a lucky one by having good genetics. She always avoided treats, fruits and even vegetables (including all so-called good ones). Into the wild, because of the risks things are much more difficult for rabbits, but much more balanced when it comes to diet. 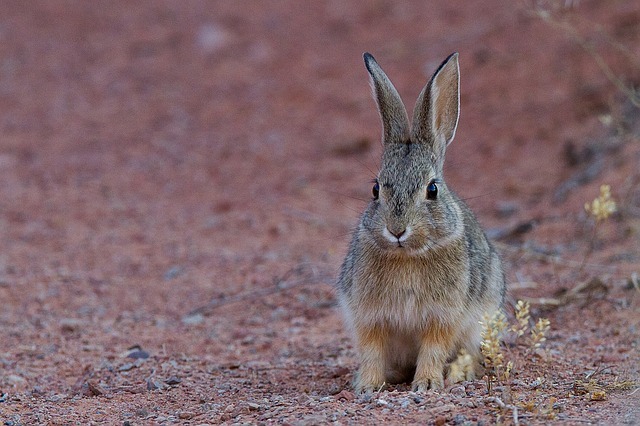 Check out this article to understand what do wild rabbits eat and why they eat it. 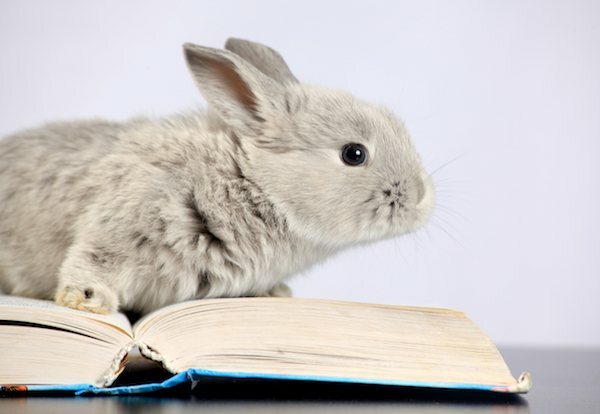 You will better understand your rabbit’s behavior, as well. Hay – What to consider when you’re feeding hay? Grass hay is the main dietary need for adult rabbits. The most popular types of grass hay are timothy, meadow, and orchard. Make a mix of those 3 types and you will cover the basic diet for your dear bunny. They are higher in fiber and lower in calcium than legume hay like alfalfa (lucerne) or clover. The last ones are better suited for baby rabbits. With hay, your rabbit will get roughage for dental health and he will avoid gastrointestinal stasis (internal blockage of food). Rabbits tend to eat hay while they are doing their thing on the litter box. Provide unlimited amounts of hay in the right places. This is also a way to litter train your bunny. To avoid mold, keep hay in the right conditions, like dry places in which the air is moving. When you buy hay, smell it to see if it is fresh. Check out the color. If it’s brown, don’t buy! 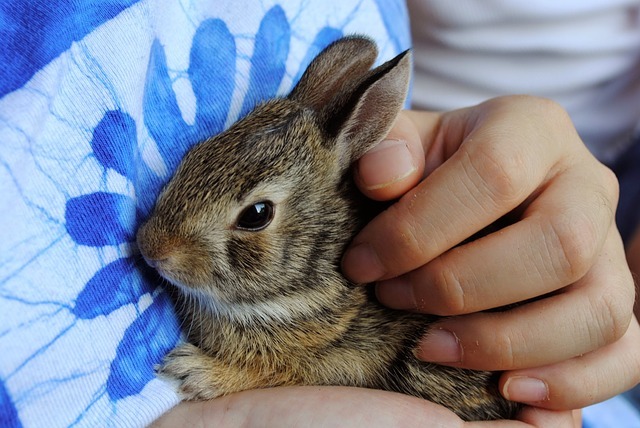 Do you seek to prolong your pet rabbit’s lifespan? Try to consider a few more things. Besides diet there is also about keeping the right temperature, providing enough space and offering affection. Keep the stress level as down as possible, but give him toys that provide mental stimulation. What do rabbits eat is very important, but very simple as well. No matter the breed or the lifestyle (indoors or outdoors) rabbits have similar dietary needs. Last but not least the magic ingredient you should add is a lot of love.